The James Connolly Society extends New Year greetings to all our members, activists and supporters. We also offer our solidarity to political prisoners and organisations we have worked in partnership with during the last twelve months. 2014 was a remarkable year for the JCS. A year full of activity, political development and sustained increase in our membership. Of course the year will forever be associated with Scotland’s decision to remain part of the UK state in the constitutional referendum in September. The failure of the constitutional nationalist strategy was a setback but it was also predictable. Any future campaign for independence must include the demand of self determination for the working class. The JCS and the 1916 Societies recommit ourselves to advancing the struggle for the break up of the UK state and the establishment of Republics in Scotland, Ireland, England and Wales. Republicans remain confident in the strength of our analysis and in the desire of working class people to achieve real change through actual independence, not Dominion status. As we approach the centenary of the 1916 Rising republicans must develop new tactics and strategies for advancing our struggle. We must focus on what we agree on, and where we disagree we must learn to do so in a comradely manner. The JCS remains determined to work with others to build political strength capable of creating societal change. Accordingly the James Connolly Society endorse the citizens initiative for a joint 1916 centenary commemoration in Dublin in 2016. For all the challenges and difficulties we face 2015 is full of potential and exciting possibilities for republicans and socialists. The balance of forces are just as they were 100 years ago. That did not deter James Connolly and his revolutionary comrades as they embarked on a course of action which changed Ireland, and the British Empire, forever. It is in that spirit that the JCS enter 2015, full of confidence and determination. Join The Resistance! 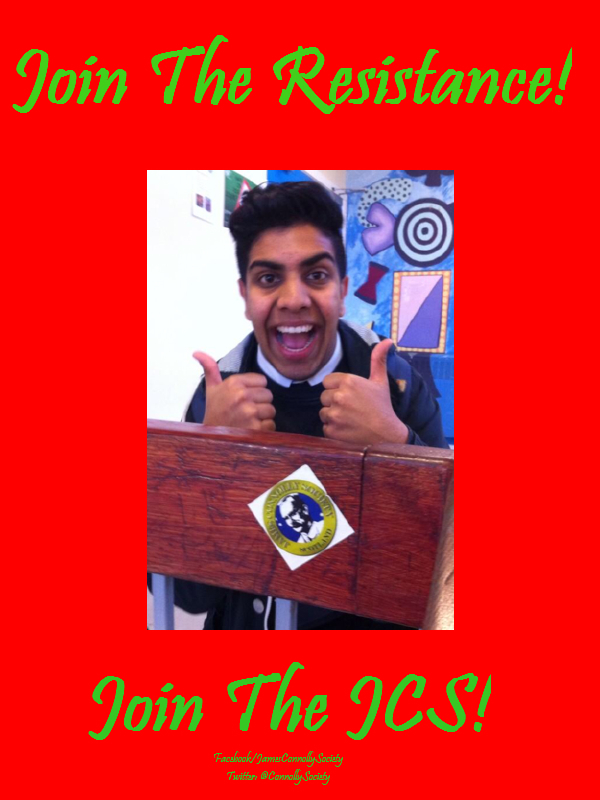 Join The JCS! “Yes, friends, governments in capitalist society are but committees of the rich to manage the affairs of the capitalist class.” -James Connolly, 1915. Previous Reject Imperialism. Reject The Poppy.